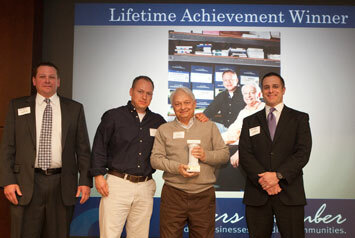 Walter & Steve (center), owners of Sharp Printing, were honored by the Fishers Chamber of Commerce with the Lifetime Achievement Award. Our mission is to exceed client expectations by providing the highest-quality product possible in a timely manner. We create long-lasting, prosperous relationships with our clients in order to help them reach their goals and objectives. 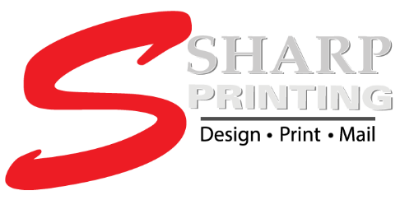 Sharp Printing is family owned and operated. In 1983, Steven Sharp founded the company in the family garage. Business grew quickly, and within months moved to our present site. Our record of growth in sales and new customers indicates a history of concern for our clients and their needs. For the security of all our employees, we maintain a healthy financial balance sheet, while growing the business, and adding new state of the art equipment to better serve our clients. We are proud of our roots in the community. Each year Sharp Printing donates thousands of dollars in cash and services to worthwhile groups and organizations. We also believe in taking leadership roles, where appropriate, to improve the community for everyone. We thank our customers and our employees for their support.